Learn to make the herbal remedies you need before you leave home. Each easy to make DIY remedy is paired with an essential herbal medicine making skill so that you'll master technique while you fill your herbal first aid kit. Learn to use the secrets of water, temperature, and salt to sleep better, have more energy, and restore that healthy glow. 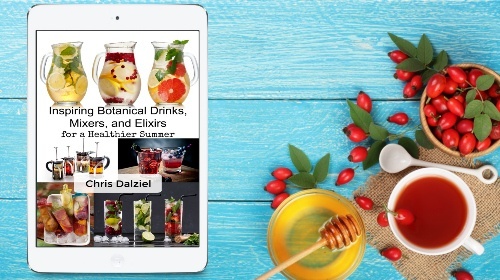 Turn your daily water routine into a wellspring of comfort and health with easy to follow recipes and herbal remedies. Use the herbs and fruit from your garden and the wild places around your home to craft unique and tasty drinks, syrups, and shrubs. Break the pop and sweet tea habit with these healthier options.